Unlimited local and long distance calling combined with unique features for small and home offices! Our dedicated IP PBX systems are not just another expensive �Virtual PBX�, but a high-end solution offering more features than many existing business solutions. TheNGT.com provides automated calling systems and service for bulk calling, appointment reminder systems and advanced IVRs. Low cost inbound toll free and outbound long distance from TheNGT.com! TheNGT.com provides unlimited calling to USA and Canada, and unlimited in-network calling to anywhere in the world. 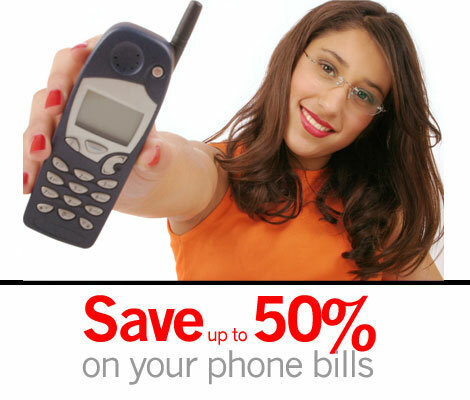 Our phone service can save you up to 50% off your monthly phone bills. Are you paying too much? TheNGT.com service includes discounted rates for e411 at 70 cents per minute. Get answers to your questions quickly. Finally hassle-free voicemail. Get your messages by Phone, on the World Wide Web, or via e-mail. It doesn't get much easier. Know who's calling before you pick up the phone. Ignore those annoying calls from telemarkers or that wacky in-law. TheNGT.com provides unlimited calling to USA and Canada, and unlimited in-network calling to anywhere in the world. Metered services also available for less demanding calling needs. Because businesses can now compete anywhere else in the world, TheNGT.com offers low-cost toll-free numbers and international calling! We offer low-cost switched toll-free numbers for low volume lines and dedicated toll-free numbers for high volume lines. The choice is yours! Call your Chicago-based colleague from your New York office like he or she was right next to you with anywhere extension dialing! A Smarter Business Phone System. Hosted in a �five nines� high availability data center with redundant fiber interconnects and peering to multiple carriers, our hosted PBX systems are co-located with our primary class four switch. Interconnected with more than 30 carriers and CLECs over redundant fiber connections, we have numbers in inventory in thousands of rate centers, ready to be assigned. We offer both hosted and on-premise IP phone switches, because some people need one...some the other. In both cases, we have several "versions" with different levels of features to fit your needs. The most basic system has far more features than your average small office phone system, while the enterprise and call center editions will astound you! The advanced system is a dedicated IP phone switch for each customer and has an incredible set of features, including unlimited auto-attendants, IVRs (Interactive Voice Response), inbound call queues, conference bridges etc. It has real time receptionist and supervisor displays, ability to do call recording - either scheduled or on-demand and many other features. Low cost inbound toll free/outbound long distance for your business. Hosted in a �five nines� high availability data center with redundant fiber interconnects and peering to multiple carriers, our IP Trunking is co-located with our primary class four switch. Interconnected with more than 30 carriers and CLECs over redundant fiber connections, we have numbers in inventory in thousands of rate centers, ready to be assigned. Starting at just $0.039 per minute with no minimums, lower cost with volume. Zero trunking cost - you pay only for usage! Bulk and Automated calling systems and service. We can install an IP phone switch at your location and "drive" it to make automated outbound calls, or provide the same calling as a fully hosted service. Our hosted systems can make tens of thousands of calls per hour, and we can scale up to any needs. Just pennies a call whether you need to make 200 calls or 2,000,000! Just sign up, create your first recording by phone or upload a wav file, load a list of numbers and let it go!